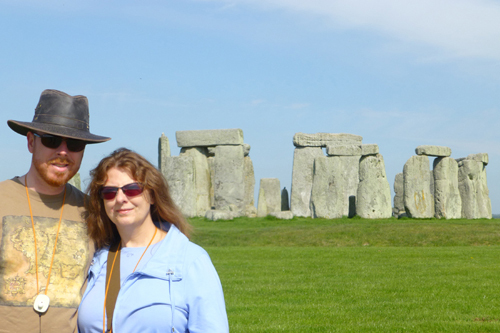 One year ago today my husband Mike and I were in England, enjoying a lovely day on the Salisbury Plain. We toured Stonehenge and Avebury, and finished our day in Bath with a quick tour of the Cathedral right before they closed for the evening. The day was gorgeous with a clear blue sky. 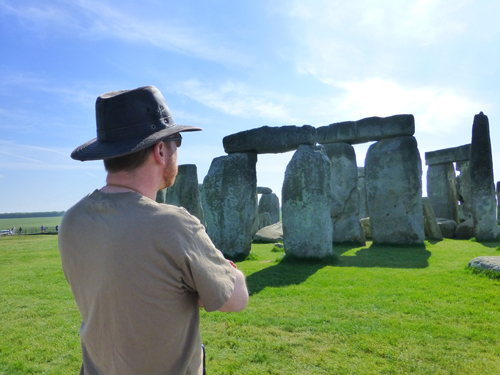 At Stonehenge, we followed the approved path that kept us at a distance from the ancient stones. 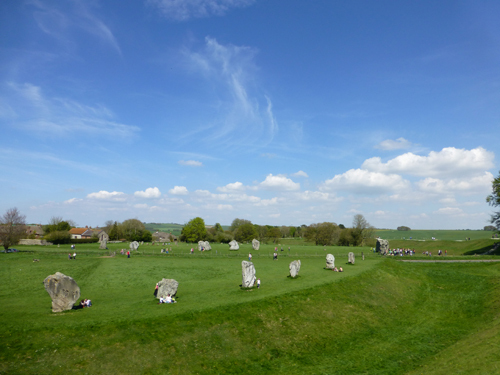 At Avebury, there were no such restrictions, and we could wander among the stones and explore at will (stepping carefully to avoid the, um, “lamb patties”). Kids climb the stones and families picnic amongst them. It was a lovely day. The next day, however, not so much. I stumbled on broken pavement, turning my ankle and breaking my foot. But hey, what’s an adventure without a little adversity? Go home, Angel! You’re drunk! This entry was posted in Brain Food, Life. 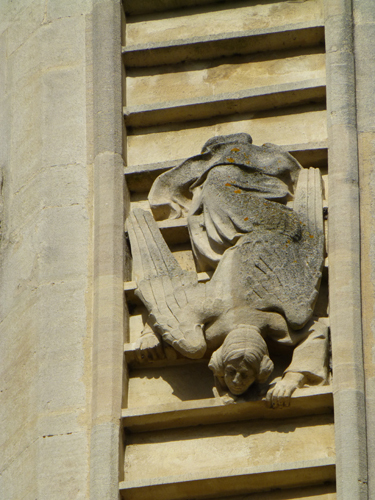 Tagged avebury, bath cathedral, landscape, memories, stonehenge, stumbling angel, UK. You’ll have to speak more slowly….